A simple dip test for presence of lipids in solution. 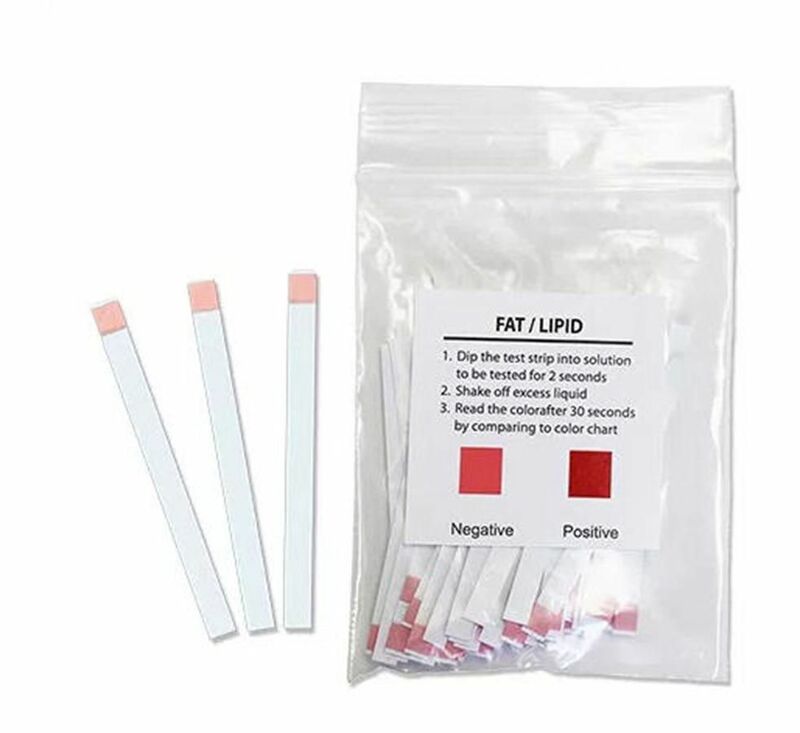 Easily test solutions for the presence of fats with these single use dip tests. Each strip had a single testing pad which will change color in the presence of lipids. Simply dip, wait 2 seconds and compare to the chart.